Nevada’s Boomtown Reno Casino will likely face significant fines and other penalties after the casino was discovered to have placed affiliate links to two Curacao-based online gambling operations on its Boomtownreno website for several months during 2017. According to a formal 11-page complaint filed by the Nevada Gaming Control Board (NGCB) against Boomtown Reno’s corporate parent, BCH Gaming Reno LLC, the casino failed to follow any internal and legal compliance checks in a project designed to offer “free play” social-casino games to visitors of its website, with the end result that Boomtown Reno served as an affiliate for the illegal-in-Nevada sites until the NGCB ordered links to the sites removed last August. This tale is amazing, in light of the high profile that online-gambling matters have assumed in Nevada over the past several years. The state’s largest industry is gambling, and yet this appears to be a massive “Peter Principle” tale involving several unnamed executives of the casino. Boomtown Reno sits on the Western edge of Reno, where it greets visitors from central California as they descend from the Donner Pass into the Reno-Sparks area. The NGCB complaint, signed on May 11 and received by the Nevada Gaming Commission (NGC) on May 15, details Boomtown Reno’s utterly hapless delving into the world of online gambling. It appears that around September 2016, executives of the casino issued a directive to the company’s web developer to install some form of free-to-play online casino games on the Boomtown Reno site as a marketing and promotional tool, then never followed up to see the results. The web developer (who goes unnamed in the NGCB complaint), first investigated the cost of developing such a free-play online casino game in-house, discovered it would be way too high for Boomtown Reno’s virtually non-existent budget, then searched for cheaper alternatives. And somehow, that led to the developer entering into an affiliate agreement on Boomtown Reno’s behalf with two Curacao-based online casino operations, Affiliate Edge and Deck Media. As part of the deal, Boomtown Reno’s website installed affiliate links to at least 15 different Affiliate Edge / Deck Media sites, and 11 of the 15 sites included real-money online casino games that were available to US residents. Such offerings are specifically illegal under Nevada law, which currently authorizes only online poker, and Boomtown Reno was not authorized by Nevada’s gaming regulators to offer such online gaming anyway. The comedy of incompetence doesn’t end there. 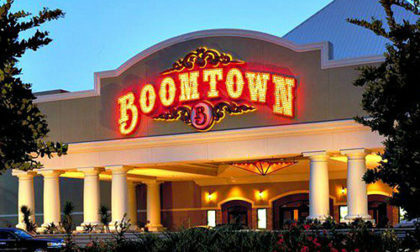 Three of the Curacao-based websites (and note that Curacao is generally regarded as a rubber-stamp regulator, the bottom rung on the international hierarchy in online gambling) offered return links to Boomtown Reno sites, while three of the Curacao sites also offered claim such as “US players welcome!” Such claims are false in the 15 or so states where specific laws regarding internet-based gambling exist, Nevada among them. 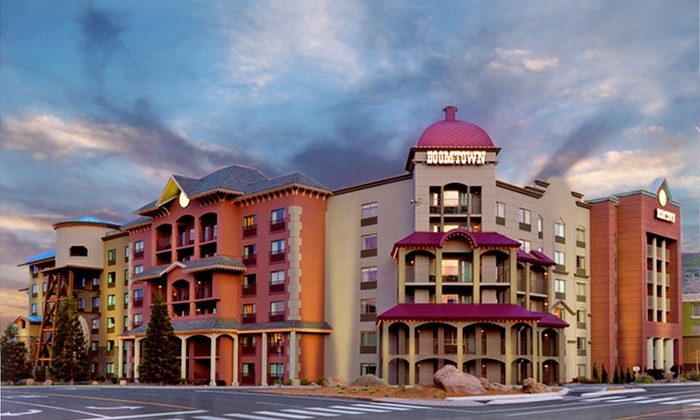 Even worse, Boomtown Reno accepted and duly processed an affiliate payment check in the amount of $1,621.03 from Affiliate Edge, which speaks to a lack of internal controls. And the illegal sites were allowed to be linked from Boomtown Reno’s site for several months, beginning in March of 2017, despite at least two customer complaints in March and April of 2017 that the linked sites were illegal. The links remained in place until ordered removed on August 27, 2017. It’s unknown if or how many heads have rolled at the west Reno casino in the wake of the scandal. A formal review of the case and likely levying of penalties by the NGC will occur at a future date.